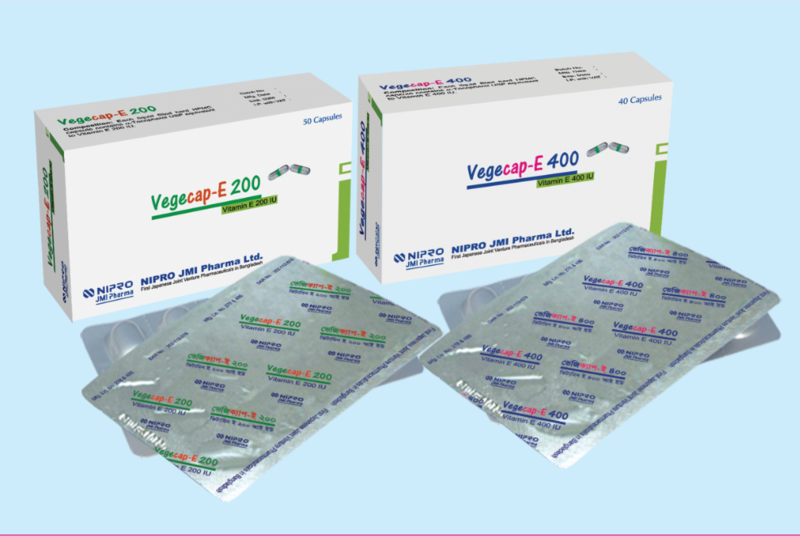 Vegecap-E is a Vitamin E preparation. Vitamin E acts as an antioxidant in the body. Vitamin E protects polyunsaturated fatty acids (which are components of cellular membrane) and other oxygen-sensitive substances such as vitamin A & vitamin C from oxidation. In premature neonates irritability, edema, thrombosis and hemolytic anemia may be caused due to vitamin E deficiency. Creatinuria, ceroid deposition, muscle weakness, decreased erythrocyte survival or increased in vitro hemolysis by oxidizing agents have been identified in adults and children with low serum tocopherol concentrations.